For the first time on this trip, we woke up in a city other than Duisburg. Our hotel is very nice, in a good location near walking and bike paths. The on-site restaurant is providing us with a full hot and cold buffet for breakfast, lunch and dinner. There is definitely no shortage of good food. 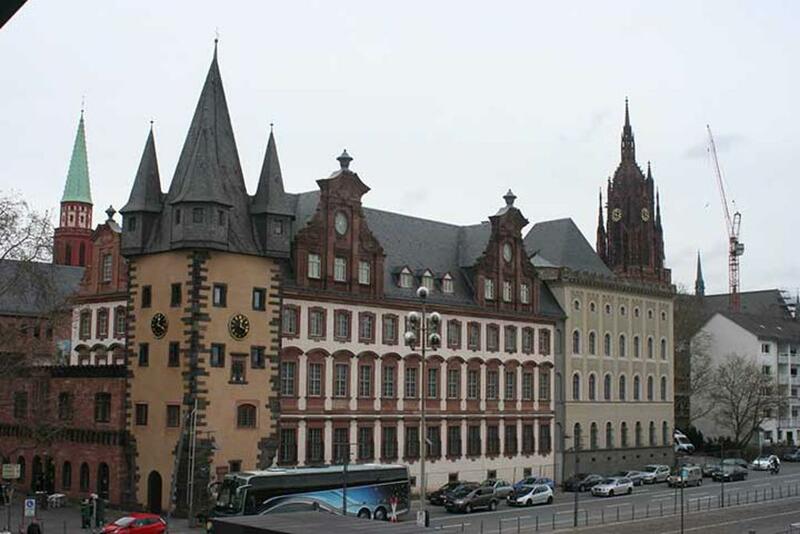 At 9:30 a.m. we boarded our coach bus for the ride to Altstadt (old town Frankfurt). On the ride in, it was curious to see how the view changed from one dominated exclusively by modern skyscrapers to one that was an interesting mix of old and even ancient buildings with post-WWII structures. 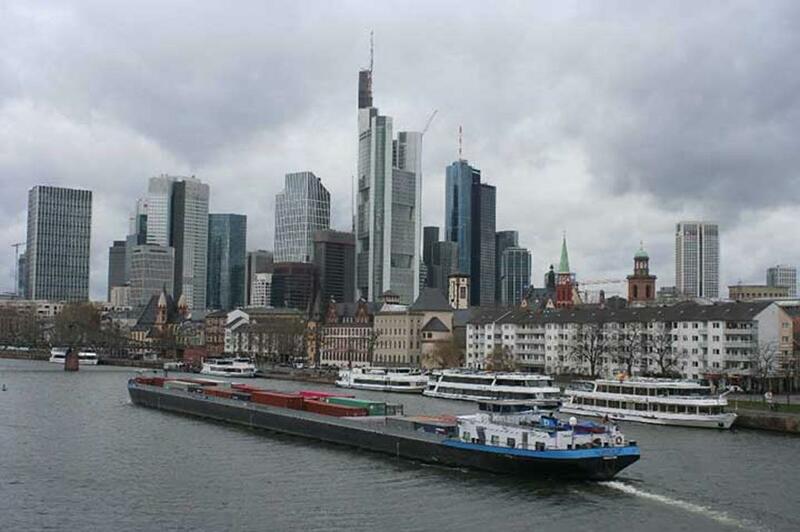 Our guide, Martin, told us that Frankfurt was essentially leveled in WWII by repeated air raids and that places like Altstadt were rebuilt and restored to accurately depict exactly what was present before the war while other parts were razed, fully cleared and redeveloped as modern districts which is why Frankfurt’s main business district has one of the most American looking skylines in Europe. 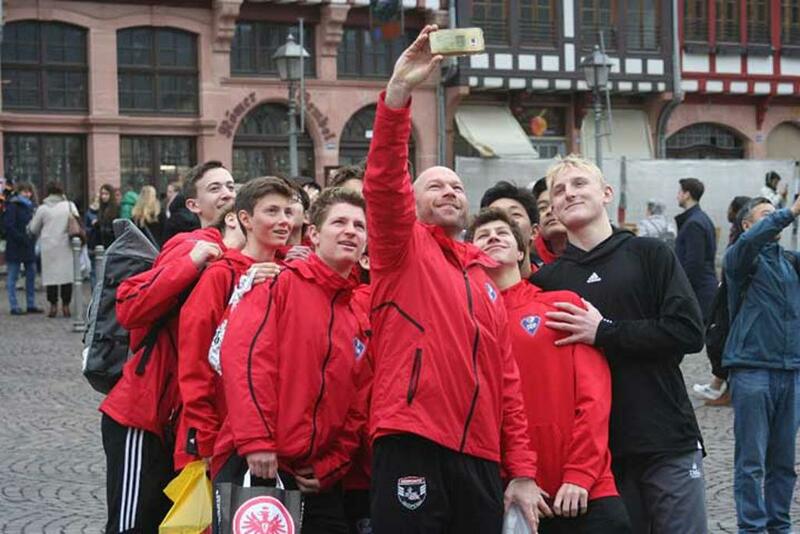 Our players enjoyed exploring, shopping at the city’s many soccer themed retailers and walking across the famous Eisberner Steg also affectionately known as The Lock Bridge. 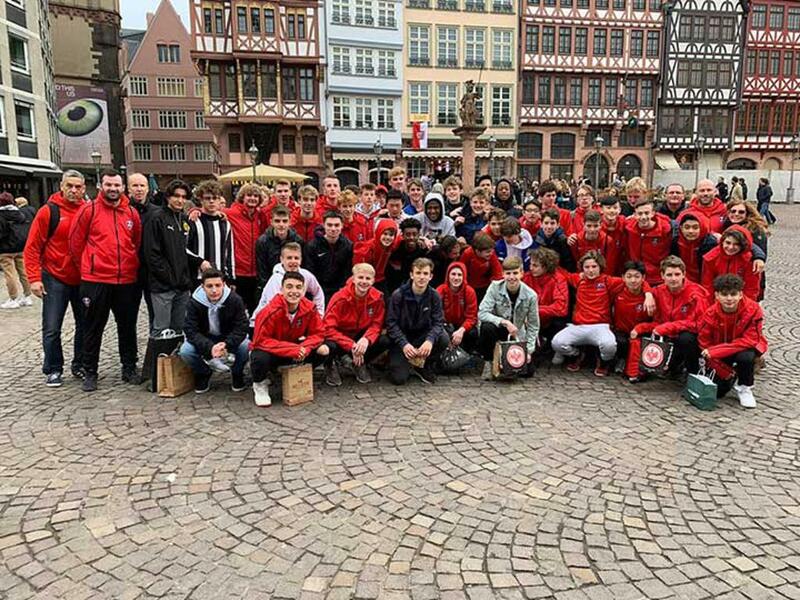 Before we boarded the bus back to our hotel, all three teams gathered in Altstadt for a group photo. At 4:00 p.m. we boarded a bus once again for transfer to Opel Arena at Mainz to watch our second Bundesliga match of this trip. FSV Mainz 05 currently 13th in the Bundesliga standing played hosts to Borussia Monchengladbach who is ranked 4th. The 34,000 seat, open-roof stadium, which opened in 2011, provided an intimate atmosphere for watching the game. To our left, the Mainz supporters filled the bulk of the stadium. Isolated from the home crowd in the South-East corner, 11,000 standing-room-only Gladbach supporters danced and sang leading to a nice give-and-take exchange between the two rivals. The skill, speed of play and tactics by both teams was apparent throughout the game as they each worked to break down their opponent leading to an entertaining 1–0 win by the away team. Over the past few days the hours have truly started to fly by and it’s hard to believe that tomorrow we will be heading home to the U.S. Leaving is bittersweet. Everyone is excited to see their families, but sad for this amazing experience to come to an end. We are grateful to everyone who made this trip possible: our players and parents, our coaches and trainer, our amazing guides—Martin and Julius—who planned and coordinated most of the trip, and the wonderful staff at both Wedau Sportschule and the H4 Hotel. So much was learned in our 10 short days. 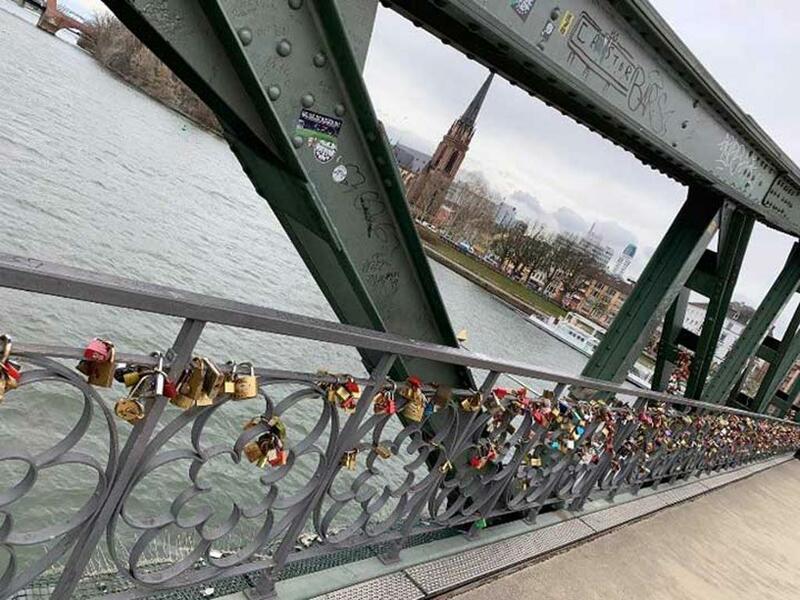 No doubt, everyone will leave Germany with fond memories to last a lifetime.